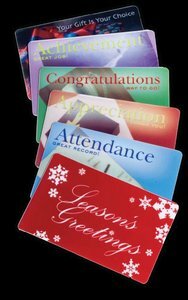 Our employee recognition programs and achievement awards come in the form of an award card, similar to that of a credit card. They can also be used for corporate christmas gifts, company thank you gifts and years of service awards. These service award cards can be redeemed on line. 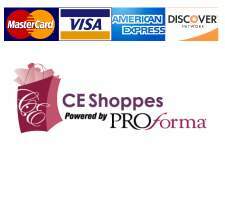 Your recipient will only see the gift card selection that you have chosen for him. Select the option to use your own custom design on the cards, or use one of our stock designs. Card holders are additional. 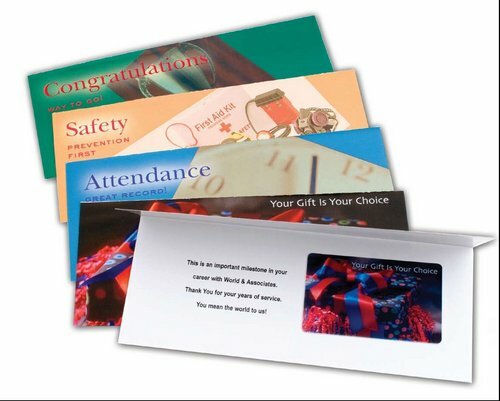 Each award card fits in a #10 business envelope. If you order via phone or email instead of through the shopping cart, please include which card design you plan to use.